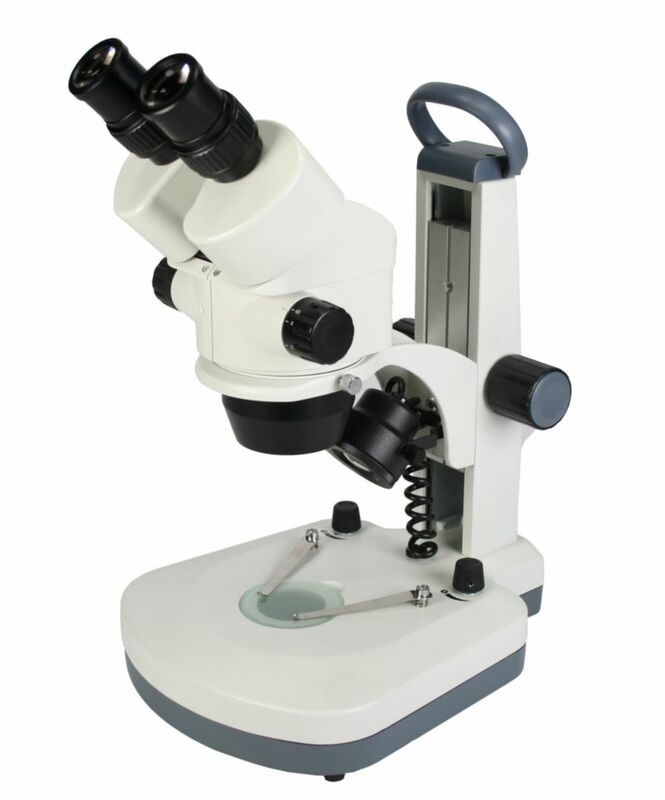 The D-ELS-4 model is a new stereo-zoom microscope perfect for high school students. It allows students to view objects at .7x magnification then zoom to 45x magnification for an exciting, close-up view. The microscope has energy-efficient LED illumination that lasts up to 50,000 hours.